You should thank us because we have rounded up the 7 easiest nursing schools to get into in NYC for you! Getting into college you really want can be a tough challenge, especially if you weren’t a good student in high school. Nevertheless, many of those students end up being much better students once they start studying something they really love. And nursing? You got to love it to study it! Your number one motivation for getting into a nursing school should be love for this profession because it is a tough calling that demands a lot of devotion. If you are 110% sure that you want to become a nurse, you will be happy to know that Center on Education and the Workforce predicts high demand for this profession all through 2020. They estimate that there will be around 1.6 million job openings, and that will be a lack of around 200,000 qualified nurses. Furthermore, according to the US Bureau of Labor Statistics, employment for registered nurses should grow by 15% (from 2016 to 2026), which is much faster than the national average for all the other professions. For those of you who are looking to start working as soon as it’s possible, there are some colleges on our list that offer 2-year nursing programs in NYC, or in other words associate’s degree courses. We feel obliged to note that these 7 easiest nursing schools to get into in NYC offer top college nursing programs, meaning – their high acceptance rate doesn’t speak a thing about the quality of education they provide to their students. Moreover, one school on our list ranks as one of the top 10 nursing schools in NY, according to Nurse. Those who are worried about tuition fees, should ask around for free nursing programs in NYC, and a good start can be FreeCNATrainingClasses which offers information on free LPN training programs in New York. 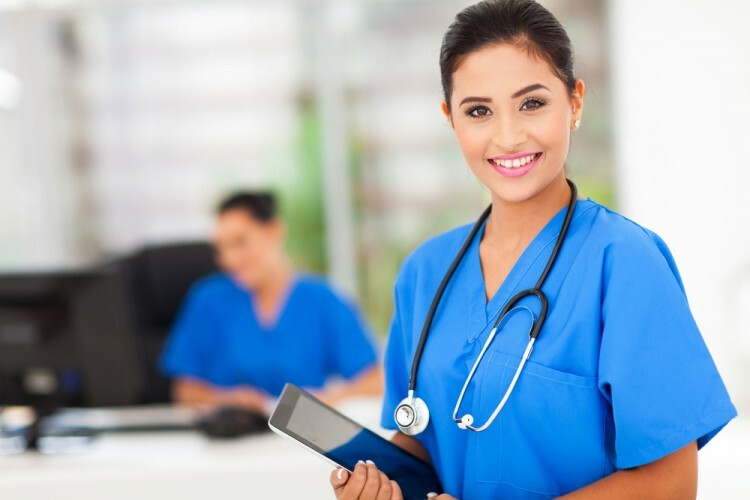 If you are looking for accelerated nursing schools in NYC, you’ll definitely be satisfied with our list, as some of the schools on it, offer accelerated nursing programs. If you are not too hung up on studying in NYC, or in New York for that manner, then check out some other Least Competitive Nursing Schools in America.